A podcast about nonprofit digital marketing and how to make it better. Episode 113 – Lean into telling stories through great photography. Kim Johnson of Homeboy Industries joins the podcast today to discuss digital marketing, social media fundraising campaigns, and how to lean into telling stories through great photography. 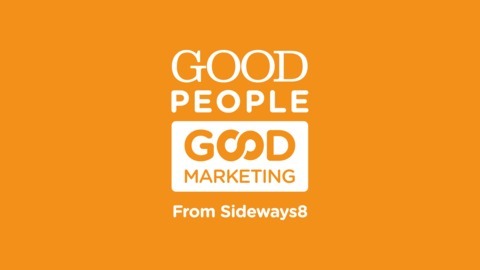 Adam: [00:08] Hi, welcome to the Good People, Good Marketing podcast, a podcast about digital marketing and how to make it better so the good people and good organizations can have good marketing as well. I’m your host, Adam Walker, co-founder of Sideways8, a digital marketing agency and 48in48, a nonprofit dedicated to hosting events that build forty-eight websites for forty-eight nonprofits in forty-eight hours. [00:28] My guest on the show today is Kim Johnson. Kim is the Marketing Director at Homeboy Industries, a Los Angeles-based nonprofit that helps gang members and formerly incarcerated to be contributing members of their community. Kim is a scrappy marketer with a passion for rolling up her sleeves and developing teams to do the impossible. Over the last two years, she has taken the Homeboy Industries’ nonprofit brand to new heights through gaining national press recognition and executing record-breaking fundraising campaigns. Kim, welcome to the show. Kim: [00:57] Thanks so much for having me, Adam. Adam: [01:02] I love the last line of your bio there. You’re getting national press and record-breaking fundraising campaigns. I’m hoping some of those nuggets about how you did that are going to come out in our discussion today. Kim: [01:15] Oh yeah, definitely. I’d love to share some of our best practices. Adam: [01:20] I love it. I love the name. I love what you’re doing. I think that’s really important work, so thank you for doing what you’re doing and thanks for being on the show. Let’s go ahead and dive in. Question number one: related to digital marketing, can you tell us something that’s working well for you? Kim: [01:37] Just a little bit about the resources that I’m working with just to give a little bit of context. Our organization, we’re thirty years old, and as you mentioned, we focus on serving folks who were formerly incarcerated or in gangs and helping to create a holistic environment where they can learn everything from workforce development to— We offer GED services, we have mental health services, but then also, we train them in one of our nine social enterprises. The organization has so many different facets and just one little marketing team, which is, as I mentioned, a little scrappy team of myself and I have a full-time marketing manager. [02:30] One of the things that we have been good about working with our volunteers. A lot of the work that we’re able to do is really built off of the generosity of volunteers, whether it be volunteer photographers or videographers. We have folks who also help us to manage our assets, to keep everything in order. We also have a lot of really good vendor partners that work with us and just the different demands that we have. One of the things over the past year, specifically regarding social media that’s worked for us, is Facebook fundraising. I don’t know if you’ve had folks talk about that. Adam: [03:22] Not a lot. Give us the overview. I’d love to hear more about it. Kim: [03:27] Facebook— Well, social media in general, has always been a hard nut to crack in regards to fundraising. Over the years, they’ve really helped for-profit companies figure out how to build their business, but they really made concerted efforts, specifically over 2018, to figure out how to help nonprofits. One of the things that they’ve developed are Facebook fundraisers, which I don’t know if you’ve seen them, but basically, they offer people an opportunity specifically regarding their birthday, to divert gifts in honor of their birthday to an organization that they support. Adam: [04:12] Yeah, I’ve done it before. I think it’s actually surprisingly effective. I set some measly little goal that I thought was— I asked a couple a hundred bucks and I think my friends exceeded it by several hundred. It’s actually a far more effective than I even expected. Kim: [04:26] Yeah. And I think what’s really helpful for the whole process is that Facebook’s figured out how to allow an individual to stay within the Facebook experience and not have to leave it. A couple of years ago, we worked with an organization that tried to pair hashtags to fundraising and it wasn’t a seamless experience. The individual would have to leave Facebook in order to complete the transaction, and I think that’s why it struggled. Facebook has figured out how to keep it all within the same experience. Because of that, we, over the last year, have raised over, in 2018, really without much effort on our part, over $70,000. Kim: [05:19] Yeah. Just by individuals, on their own, choosing to divert their fundraising or their birthday gifts to our organizations. So that has been huge. What we’ve tried to do is augment that. What we do is if someone creates a fundraiser, we will chime in and thank them like, “Hey, Jenny, this is so great. Thank you,” or, “Hey, Ned, you’re almost to your goal” or, “Hey, Trisha, you exceeded your goal. Thanks so much.” We, as the organization, we interact with these individuals and that helps them to feel good and it also gives visibility to their supporters and they see that the organization is speaking with them. It helps the whole communication. Adam: [06:15] Yeah, they can tell that you’re engaged. If they’re doing a fundraiser for you, the nonprofit, and they see you, the nonprofit are, are actively engaged in that fundraiser, obviously that’s going to drive them to whole new heights to be more enthusiastic about it, push it out more, really help to reach those goals and exceed them. Kim: [06:34] Completely. What’s really cool is that Facebook allows the nonprofit to download unlimited amount of data, so if the individual who gave the gift, if they’ve set up parameters to allow their email address to be shared with the nonprofit, then we then are able to acknowledge that gift. Unfortunately, not everyone has really liberal privacy settings, but for the individuals that do, we’re able to, as a nonprofit, thank them for their donation and integrate them into our communication stream. Adam: [07:15] Oh, that’s fantastic. Not only are you gaining access into supporters’ networks, you’re also gaining funding from those networks and potentially you’re gaining data and additional supporters that you can then reach out to later on and hopefully engage with and get them to do even possible do their own fundraising. Kim: [07:33] Yeah, exactly.Honestly, the best of all of this is that Facebook, at least for now, has waived any processing fees. Every dime the individual donates goes directly to us. That’s a huge plus because most databases do take out a percentage when they’re processing the gift. It’s been a huge win for us. Adam: [07:58] Wow. That’s amazing. Yeah. I love that. I love that. Okay. That’s a big one. You’re one of the first people to talk about it, so I love it. I am familiar with it but I’m really glad you brought that up on the show. Question number two—a little less exciting—related to digital marketing, can you tell something that has not worked well that we can learn from? Kim: [08:17] Well, it’s funny because I actually sometimes find more fun in what doesn’t work. Adam: [08:24] Oh, good. That’s good. This will be fun, then. Kim: [08:28] One of the things, specifically regarding social media, I think as everyone knows, imagery matters. One of the things that we realized is that our photography really has to be, engaging Specifically, what we do is lean into telling the stories of the clients that we serve. One of the great things that we’re able to tap into as a lot of the successes that the individuals we serve have. [09:02] Even little milestones like someone who’s getting their driver’s license. They’re forty years old, they’ve been incarcerated for fifteen years. They come out and they don’t have a driver’s license. Often, there are so many barriers. When they finally get it, we’re able to capture an amazing engaging photo of them and almost in the vein of People of New York. Oh, Humans of New York. Adam: [09:42] Yeah. You’re right. Humans of New York. Of course. Kim: [09:44] Yeah. We’re able to tell the story and celebrate that milestone with the individual. We purposely choose an image that is very close up and the individual is looking into the camera and it’s sort of like a head and a little bit of their torso. Those really engaging photos along with highlighting the words directly from the individual. Talking about their struggle and about their joy and what this milestone means to them. That really resonates because how we really like to think about everything is mobile first. We think about if you’re scrolling with your left or right thumb, as you’re waiting in a line and you see this image, we want it to really capture you. We want the text that goes along with it to really drive, to really draw into the individual who’s receiving it. Kim: [10:54] That’s been very helpful for us especially this idea of thinking of everything as mobile first because as you know, that’s really how the majority of people are consuming their content. Adam: [11:05] Oh, more and more every day. It’s unbelievable. The statistics and how the growth of mobile just continues to dominate and even how more and more people just don’t use laptops. Honestly, my wife for the longest time just did not use a laptop at all. Just did absolutely everything on her phone. For me as somebody that works on a laptop every day, that’s just mind-boggling. [11:29] Why would you not just pull out a laptop and just take care of this one thing. And she’s like, “But my phone’s right here. I’m already on it. I’m good to go.” It’s amazing to me how that’s expanding and will continue to expand for sure. Kim: [11:40] Yeah, definitely about meeting people out where they are. The one other thing I’ll add about what didn’t work for us is we realized that we need to focus on telling stories as opposed to anything else. As I mentioned these engaging stories and images really draw people in. But what we found is when we move away from that, when we try to maybe say, do something a little more commercial and tried to drive business to a social enterprise or try to do sort of a more overt fundraising ask, it’s a little bit of a disconnect. [12:21] We have to make sure that we incorporate stories and captivating imagery in everything that we do, even if it is maybe talking about one of our social enterprises. That’s one thing that we found out is traditional marketing doesn’t work. It has to be really integrated into who we are and how we tell the story of the people we serve. Adam: [12:44] Yes. Story-based. I love that. I love that. You make a good point there. You can have marketing and materials around specific campaigns, but it’s gotta be a story. It’s got to have its roots in a story and then overflow into the broader campaign from there. If you try to go the other way around, it just doesn’t seem to land very well from a non-profit perspective. Kim: [13:06] Oh, completely. Yeah. Adam: [13:08] That’s great. Okay. Question number three—this one’s fun—related to digital marketing, can you tell us something that you are excited about? Kim: [13:17] Well, I’m super jazzed because just last week we launched our new website after about nine months of working and of really trying to lay out the foundation. We just launched our website last week. I’m excited to see what kind of activity that yields for increasing a lot of the different areas, fundraising, and integration into our work that’s going to bring, so I’m really excited about that. Adam: [13:49] Yeah, that’s fantastic. Kim: [13:52] Yeah. I would say also leaning more into Facebook fundraising and trying to figure out ways to augment that in 2019. That’s one thing that I’ve tasked me and my team to doing is to finding new way to increase the effectiveness of that. One of the things we were thinking is creating a specific video to share with people who engage in fundraisers. Some sort of thank you video that we would write to anyone who has started a Facebook fundraiser. We’re going to try to put that together. Adam: [14:32] I love that. Kim: [14:35] I think that could be impactful. Adam: [14:38] I’m curious. On the Facebook fundraising side, you shared the number of dollars raised. Do you know by chance the number of people that actually did it that resulted in the seventy thousand? Kim: [14:51] I don’t have that data in front of me but it’s definitely available. If I’m correct, I want to say the average gift was a lot higher than I thought. It was around $100. Adam: [15:05] Wow. That’s amazing. Kim: [15:07] Yeah, and as I mentioned, we had engaged in some social media fundraising, specifically Facebook fundraising, a few years ago, and the average gift was maybe like $35. That’s why I see lots of potential in trying to really engage with that. Adam: [15:30] I love that. I love that. Well, Kim, this has been great. Let me see if I can recap our conversation so far so our listeners have a few takeaways. [15:38] For question number one, related to digital marketing, what has worked well for you, you mentioned at first that you do a lot of work built around volunteers, so volunteer photographers, videographers, and good vendors and partners that help you to grow. And then in particular, you mentioned social media, Facebook fundraising, that personal fundraisers have really been a big deal. Those are fundraisers that are related to people’s birthdays on Facebook. They’ve raised over $70,000 last year doing that. A big part of that effectiveness has been actively thanking people for creating fundraisers and encouraging them to either meet or exceed those goals. That also drives a little bit of additional data your way. A lot of times, you can capture that person’s email address or contact information to reach out personally and thank them and then potentially add them to your communications list as well. That Facebook does at the moment wave processing fees so all the dollars are going directly to your non-profit, which is fantastic. [16:35] For question number two, what has not worked well that we can learn from, you mentioned that you did learn that imagery on social media needs to be really, really well thought out and well done and in particular it needs to be engaging photos, people engaging with the camera, looking at the camera, really connecting with those heartstrings for people. You need to think mobile first. Meet people where they are as you’re thinking about photos and content, always be thinking about the mobile-first approach and how that’s going to work and focus on storytelling first. If you’re trying to connect a broader campaign, you’re trying to do a brand campaign or whatever, if you start with story, it’s going to connect with people much better than if you do not start with the story. For number three, what are you excited about, you mentioned that you just launched your new website, so nine months of working on it and it is now live. I did take a very, very quick peek while we were talking and it looks amazing. Well done there. You’re going to lean more into Facebook fundraising, which I think is fantastic and really, really smart. How was that summary? Did I miss anything? Is there anything you want to add? Kim: [17:42] That was an amazing summary. I would like to add that Homeboy Industries, anyone can reach us at homeboyindustries.org. Additionally, we are on just about every social media platform and we’d love for folks to follow us particularly because a lot of times we’re doing really innovative stuff on our social media. I’d love for folks to be able to check that out because we’re always trying to push the envelope. Adam: [18:13] Yeah. I would encourage our listeners to check out their website. It’s very, very well done. It’s worth a look. Check out the website for sure. Kim, this was really fantastic. Thanks so much for being on the show. I really enjoyed having you. Kim: [18:25] Oh man, I had a great time. Hopefully, it will be able to help inspire other folks and I’d love to keep the conversation going with anyone who’s listening because I think we can learn a lot from each other. Adam: [18:37] I agree. Let’s do it and I’ll see if I can even book you again on another show in the future. Kim: [18:42] Sounds good. Thanks for being here. Adam: [18:46] Thanks for listening to the Good People, Good Marketing podcast. 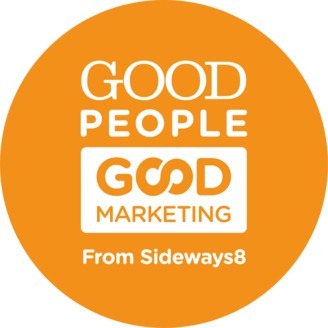 To get more resources about digital marketing, make sure to go to goodpeoplegoodmarketing.com where you can find more podcasts, blogs, and other fun resources. Also, if you want to find me, your host, you can find me on Twitter @ajwalker, and on my blog at adamjwalker.com where I blog about leadership, productivity, habit building, and the craziness of having five kids. Thanks, and tune in next time. The post Episode 113 – Lean into telling stories through great photography. appeared first on Sideways8. Episode 112 – Social media is the wild west. Episode 111 – Influencer marketing is happening in nonprofits. Episode 109 – Don’t be afraid to make yourself known.